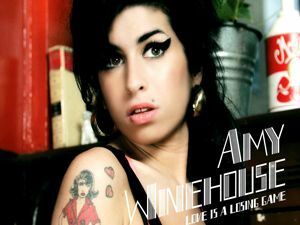 Love Is A Losing Game... but it's a winner for Amy Winehouse. The winners of the 2008 Ivor Novello Awards have been announced, with Amy Winehouse taking the award for Best Song Musically & Lyrically for Love is A Losing Game. As MusicRadar previously reported, this is despite the fact that the album the song is taken from, Black To Black, was released in 2006. ‘The Ivors´, as pretty much no one calls them, celebrate songwriting rather than recording and performing talent, and this year´s awards were dished out at the Grosvenor House Hotel. Other winners included: Cherry Ghost, for People Help The People (Best Contemporary Song); Take That, for Shine (PRS Most Performed Work); Beyonce & Shakira, for Beautiful Liar (Best Selling British Song) and Radiohead, for In Rainbows (Album Award). Mika and Phil Collins were also honoured, with the former taking home the Songwriter Of The Year prize and the latter receiving the International Achievement gong. Collins fuelled rumours that he´s set to retire by telling reporters that the award marked a “full stop” in his career. A full list of winners is available on the Ivor Novello Awards website. Do you agree with the judgements, or have other more deserving artists been criminally overlooked? Let us know.